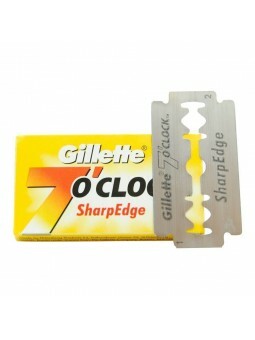 Gillette 7 o'clock double edge blades "SharpEdge" are made in St. Petersburg with high quality stainless steel. 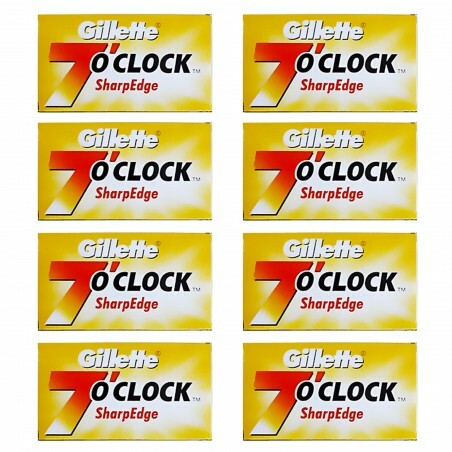 40 DE blades - 8 Packs of 5 double edge blade individually wrapped. Save 10% vs. individual purchase of 5 DE blades pack. 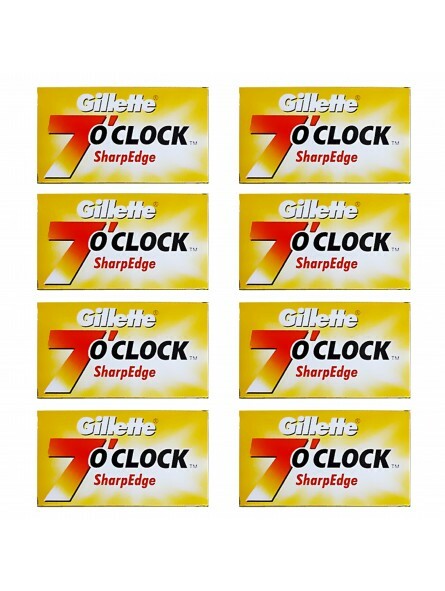 Gillette 7 o'clock double edge blades "super stainless" are made in St. Petersburg with high quality stainless steel. Pack of 5 double edge blade individually wrapped.